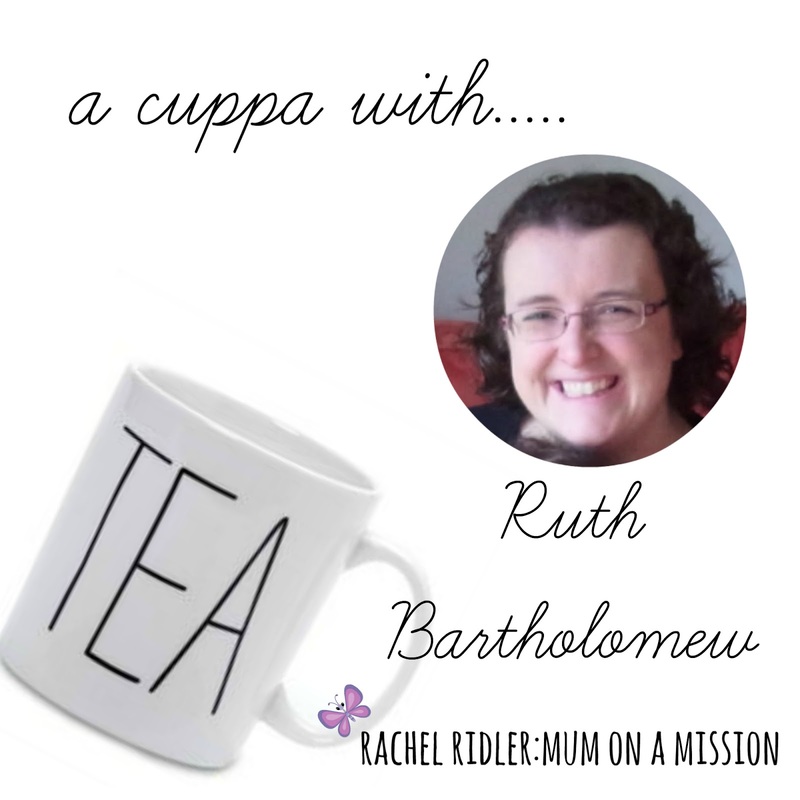 Welcome to the first in my new series “a cuppa with”, where I will be having a chat over some “virtual tea” (that is sooo a thing!) with some amazing mums, bloggers and women of faith. I hope you will find these inspiring and encouraging – please do feel free to nominate others to take part or get in touch if you would like to share your story too. I will be kicking it all off with an amazing lady who I met online via the 40 acts community. Read on to find out what that is…..
Hi, I’m Ruth a thirty something, married to Sam for almost 16 years (yikes!). I live in Gloucestershire, England. I have lived in my current town for almost 14 years and it is like living in a picture postcard (most of the time!) The sense of community here is phenomenal – I’ve never felt so settled as I do here and it’s great that my children are growing up in such a close- knit, caring community. I’m really thankful that God brought us to live here. I have two adopted daughters aged 11 and 12 ( yes, we’re on the brink of teenage years-eek!) and a surprise birth daughter aged 4. When I say surprise, I mean surprise!! After many years of infertility and the subsequent joyful adoption of our girls, I was astounded to find out I was pregnant with our daughter, Hannah Joy! God is certainly a God of surprises!! This might sound ridiculously soppy but being called ‘Mum’ or ‘Mummy’ is just pure joy. I never thought I’d have anyone call me that and it’s precious, it really is. Lack of sleep. I can cope with practically anything in the daytime but sleep deprivation is torture and I just don’t function well without sleep! All of my girls do daily devotions before bed and we do family devotions at tea time once or twice a week. I found some fantastic resources from Godventure during Lent this year and we have been using those as they are great to use with younger and older children too. 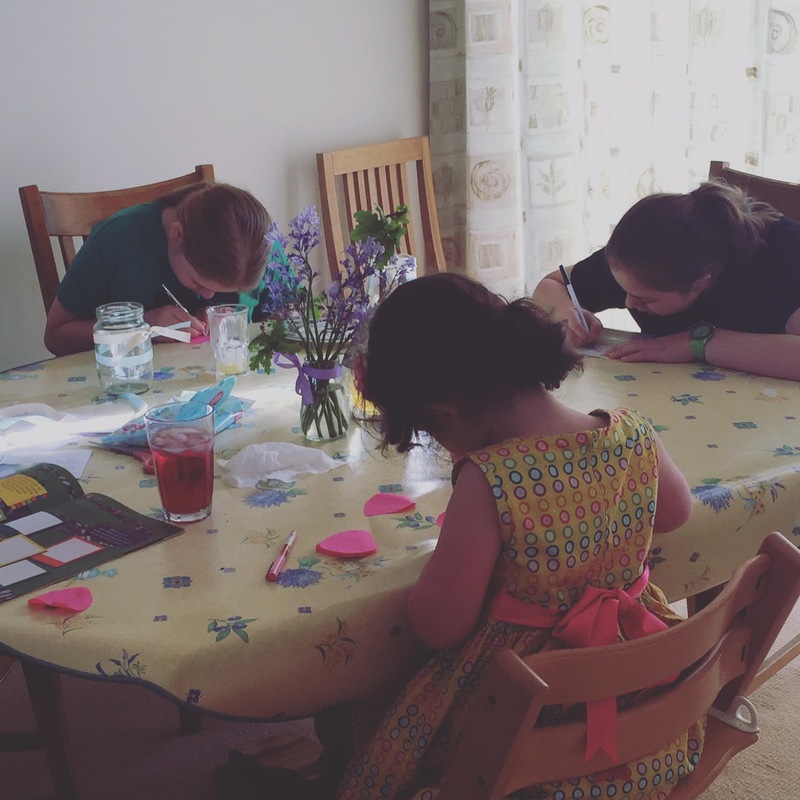 Here’s my girls writing their ‘thank you’ notes to God as part of yesterday’s devotions! I am a school governor and am very involved with my girls’ primary school so there’s lots of opportunities there. I’m also very passionate about showing kindness to everyone, whether they are my neighbour, friend, stranger, family member, colleague or visitor – kindness goes a long way and is an incredibly powerful force in today’s society. We’ve taken part in ‘40 acts‘ during the past two years during Lent and we’ve loved it as a family and I’ve done it as an individual. Basically it’s all about giving rather than giving up during Lent and the experience is profound. God has used it to sow seeds into my friendships, community, church, family and beyond. I think we have to be open to God’s calling and leading. He will give us the people we need to be in contact with. It’s all about enlarging Him. I’m passionate about the work of Home for Good, a Christian charity that supports and encourages Christians to foster and adopt and encourages churches to wrap around adoptive and foster families. I love everything about this charity who have a massive vision to share God’s Father heart with churches across our nation. I’m also passionate about encouraging people to foster or adopt! We are adoptive parents and while it’s not for everyone, it could be for you! Adoption is one of the best things I’ve ever done but also one of the hardest! It can be a roller coaster but I’d rather be on it than watching it. I love supporting other adoptive parents and foster carers too and believe we all have a role to play in supporting vulnerable children. Where do you blog and what do you blog about? I blog about anything but mainly my faith, my children and adoption! Thanks so much for having a cuppa with me Ruth – you really are an amazing Mum and inspiration to those thinking about adopting. Praying that you are able to continue supporting those who want to adopt (and who knows – I might be in touch in the future!) and that your generosity in your local community has amazing outcomes.